Still related to 4G Mobile Technology, this month I was invited to give a presentation in the 4G International Forum, held at the Sheraton Hotel, Taipei. I found it interesting and challenging: it is a rare opportunity for me to give presentations in the official forums abroad, in a cutting-edge topic that is still a mainstream conversations in the telecommunications technology and business world. Taiwan does not have visa-free agreement with Indonesia. So first I had to apply for the visa. Luckily, it was not a complicated process. Indeed, there is no Taiwan embassy or consulate here in Jakarta. But there is a Taiwan trade office in Artha Graha Building, where we can apply for Taiwan visa. And there, we’d find very friendly officers serving our visa process. All it requires is a letter of recommendation from the organiser, another one from the office, a document called “Kartu Keluarga” :), two photos, and a fee of about US$ 50. I had sent my paper at the end of June. Accommodation at the Sheraton Hotel is provided by the event organiser. For transportation, initially I chose Garuda Indonesia (GIA). But presently there is no Garuda flight from Cengkareng to Taoyuan. They offered their partner airlines, though: China Airlines. However, I found their schedule did not quite fit mine. Eventually I bought online tickets at Singapore Airlines (SIA). I departed early morning on July 11, at 4:00 o’clock from home. SIA flew me at 6:00 (all in local time), and I arrived at 8:30 at Changi. Waited a few hours in a comfortable place, then SIA flew again at 12:00, and arrived at 17:00 at Taoyuan Airport. The Forum would be held 12-13 July 2010. Monday, July 12, the Forum began. Speakers came from universities and research institutes, developers and manufacturers (Nokia Siemens Networks, Ericsson, Alcatel Lucent, Huawei), consultancy agencies, regulators, operators, etc. I learned a lot about various aspects of 4G Mobile viewed from various sides. Fairly balanced between those discussing LTE and those choosing WiMAX, with various issues of interoperability and applications. Very enriching :). We had almost no time for a break. Coffee time and lunch time were used for networking and other conversations. If I took some time for tweeting, Mr. Tan (the organiser) would introduce me to one of the important figures (he emphasized that) to chat with. Was a real fun :). Oh, I had the time for tweeting while listening to the presentations :). The organiser did not prepare a program for the evening. 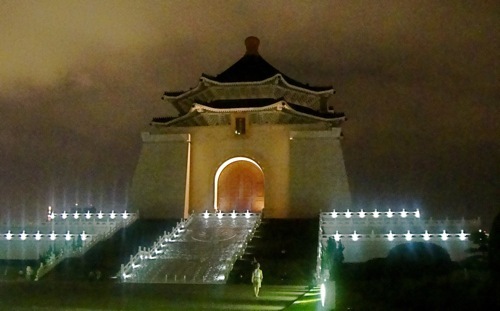 So I spent my time to visit three points in Taipei: Sun Yat Sen Memorial Hall, Taipei 101 Tower, and Chiang Kai Shek Memorial Hall. In Taipei 101, I misled myself to a bookshop (a mandatory mislead, indeed). I bought two editions of Le Petit Prince in Chinese language & letters. Tuesday, July 13th, the forum continued. The second day was filled with a combination of presentations and panels. My turn was at 09:00 to perform my presentation, in 20 minutes. 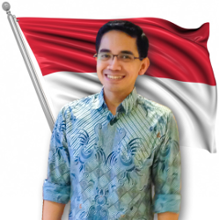 My presentation is classically titled “4G Mobile: opportunities & challenges in Indonesia” :). I began by telling the current conditions in Indonesia: how the public enthusiastically adopts the digital mobile lifestyle, proven by the rank this country get in term of Twitter, Facebook, and Opera Mini usages. Then the preparations Telkom Group has been taking for deploying 4G Mobile Network (LTE and WiMAX) through its subsidiary and divisions. Then how these issues could be matched with potentials and demands from the community developers, enthusiasts, and lifestylists (no, I did not really use such terms like these) throughout Indonesia. A bit about Indigo, IPTV, and the SDF / SDP. Then I discusses some LTE implementation model for the diverse regions and segments, with different migration models. Then to the regulation of WiMAX. After the presentation, I had to wait another 20 minutes to listen to a presentation about the implementation of 4G, WiMAX in particular, in the Philippines. Then I had to go on stage again to join the panel discussion which took about half an hour. So I finished my tasks. Done? Apparently not. Mr Tan told me to see a Professor from PRC (I would not write his name here, he could google it). He holds a position of considerable importance, and must be escorted by several people :). A serious discussion about regulations, about the IEEE, of the other conferences, etc. Then again another discussion with an officer from Taiwan ministry. Then I had to say goodbye to Mr Tan to leave earlier. My flight was scheduled at midday, so I could not attend the conference through to completion. About an hour later with an orange juice at Taoyuan Airport. About seven hours later with a big mug of Chai Latte at Changi Airport. About ten hours later with a cup of Earl Grey at home. The week will be continued with IPTV implementation issues :). I have discussed LTE too, rite?